Limited release of large low density building allotments at very affordable prices and soon to be constructed. 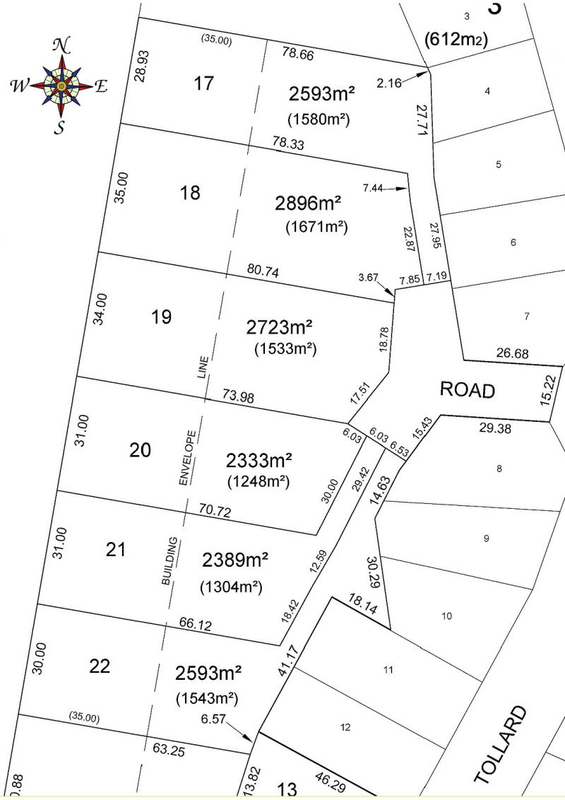 Lot 17 is one of six only (17-22) and Lot 18 is already under contract. Large urban lots are rarely available and are usually very expensive. 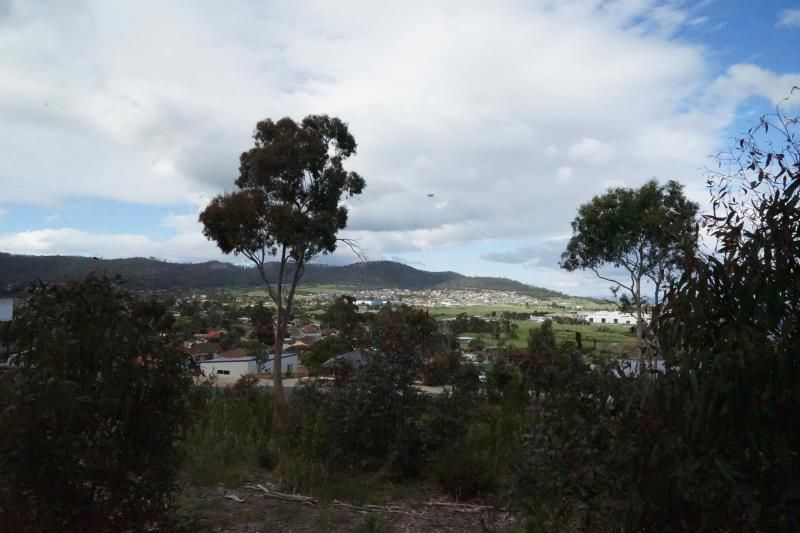 This is a larger Low Density zoned lot in the cutting edge North Bay subdivision. 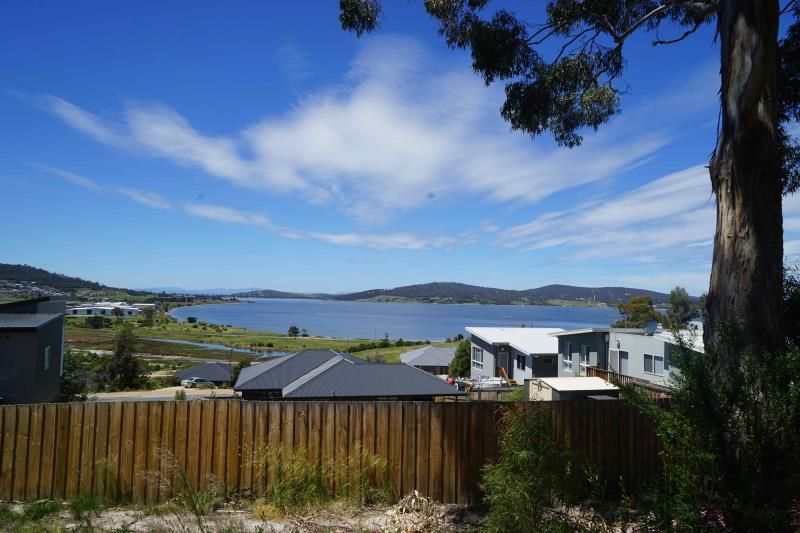 There are magnificent views over Ralphs Bay and the saltmarsh at the mouth of the Clarence Plains Rivulet and since the allotment is quite wide at 28 metres your new home can be built across the slope enabling numerous rooms to enjoy the bay views and magnificent sunrises. 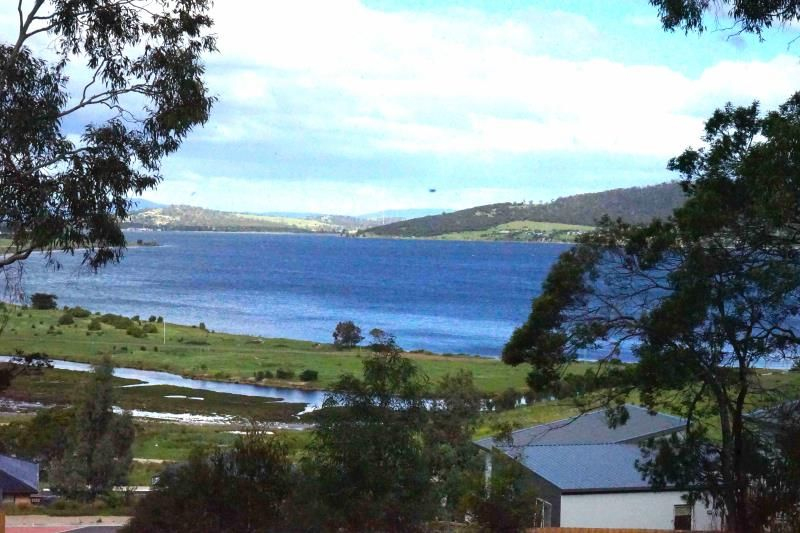 The building envelope is generous (1,373m2) so there is plenty of space for a house and a boat and perhaps a pool. 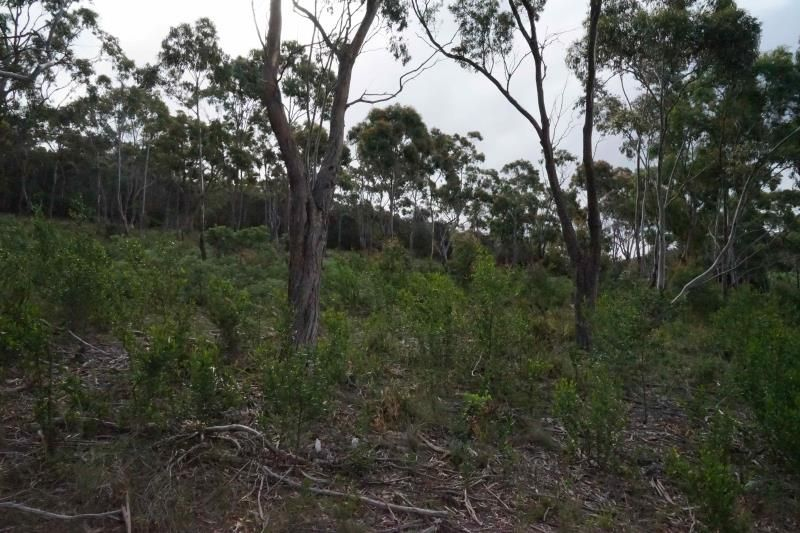 There is a 35 metre deep bushfire buffer zone extending to the rear of the property. 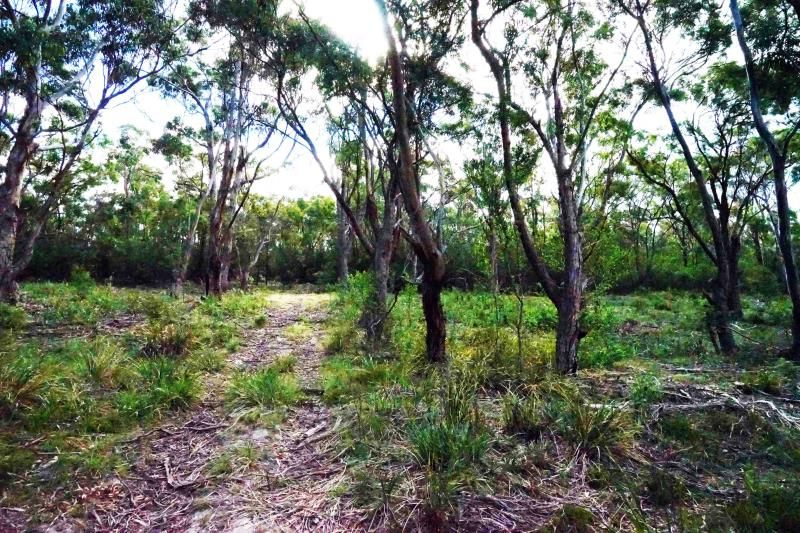 This area must have reduced understory but trees can be retained to give a parkland feel to the property and ensure that it will continue to be frequented by native birds. North Bay is a place you would want to live. 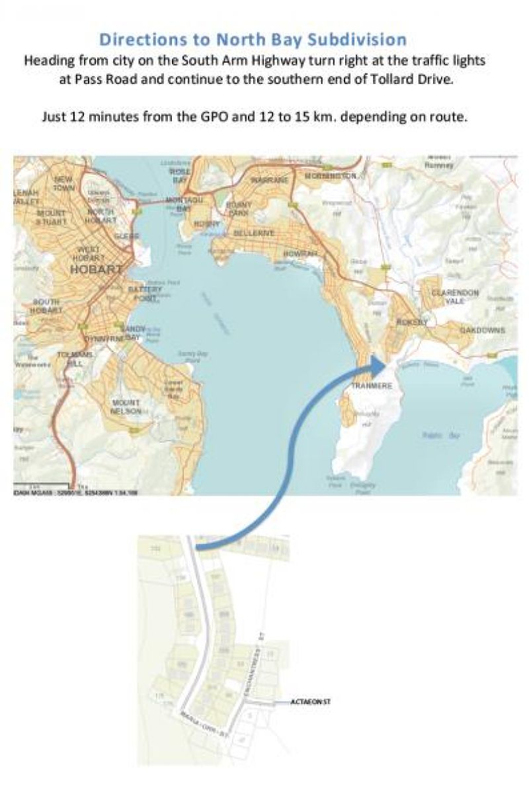 Since the new South Arm Highway 4 lane extension and Tollard Drive link it is now only 4 minutes from the Shoreline shopping centre and an easy trip to Hobart. 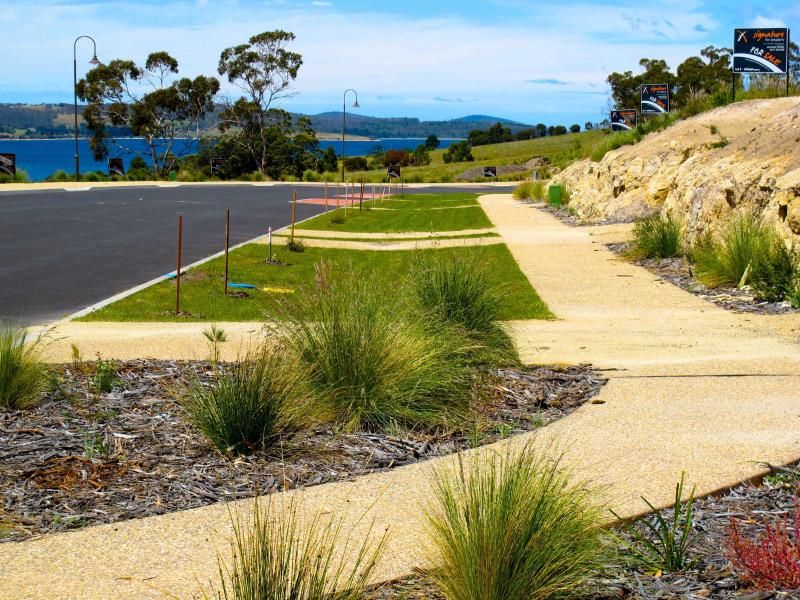 The development is of high quality with coffee coloured exposed aggregate footpaths, custom street-lights and landscaping with Tassie native plants local to the area to provide colour, bring native birds and minimise maintenance and watering. Just across the road there is a 3 metre wide shared bike/pedestrian path for safer cycling. 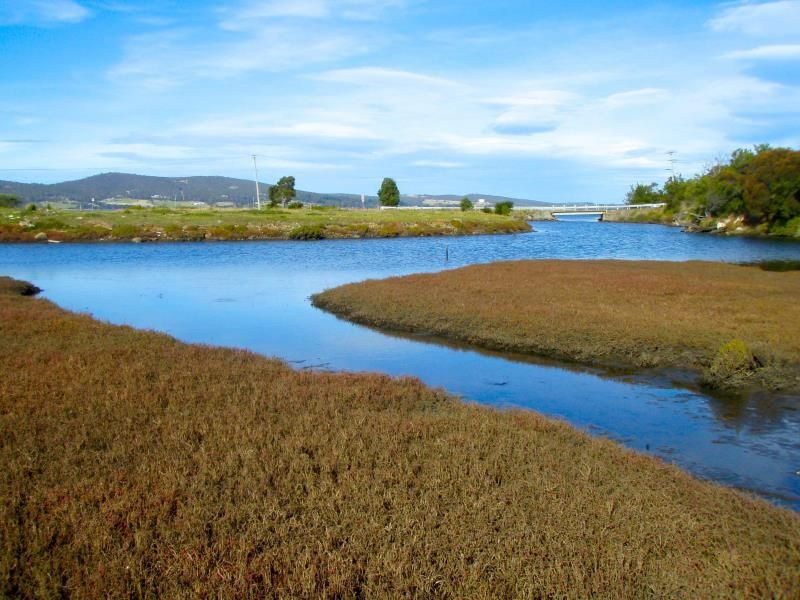 The development incorporates Water Sensitive Urban Design including mandatory water tanks in order to minimise impact on the adjacent Saltmarsh and the River Derwent. 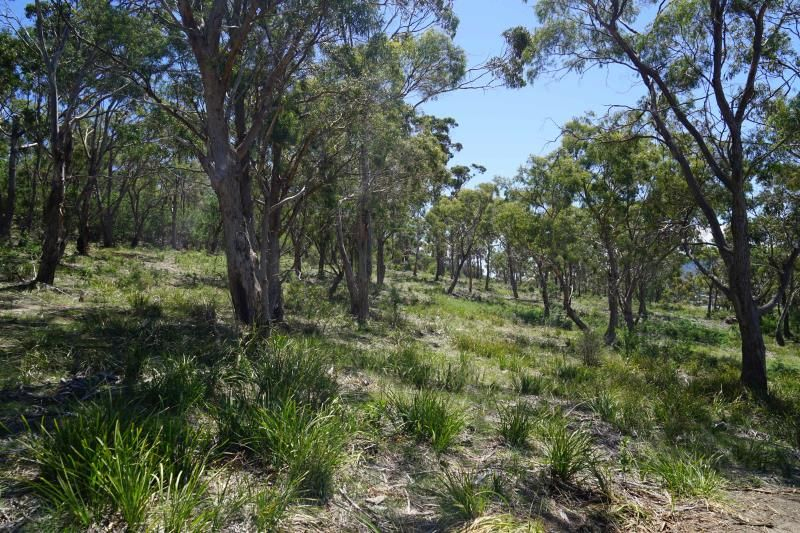 Nearby much work has been done on weed management and bushland regeneration and assisting the Tranmere-Clarence Plains Land-care Group in managing the Saltmarsh area. The North Bay subdivision has been thoughtfully planned. You can visit the northbay website. 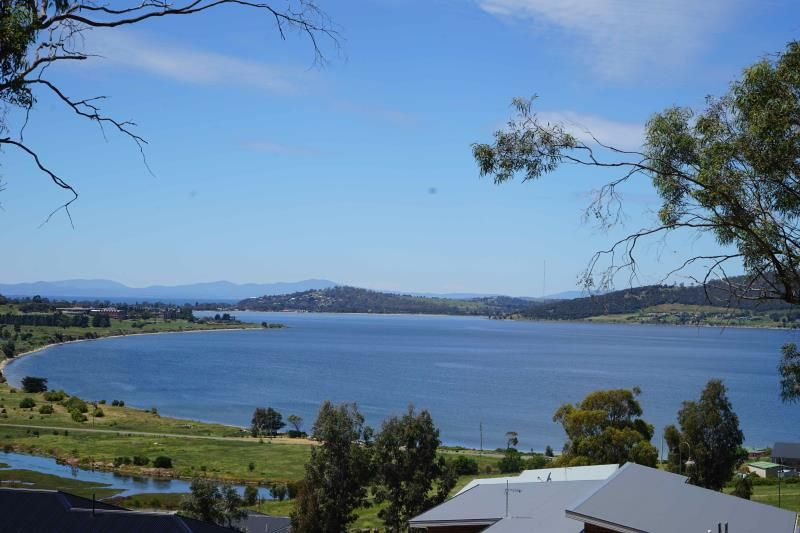 Considerable effort has been made to maximise the amenity for home owners and their families, while minimising the impact on and where possible enhancing the natural environment.